Bonus programs have been used in American business for some time. They usually reward individual accomplishment and are frequently used in sales organizations to encourage salespersons to generate additional business or higher profits. They can also be used, however, to recognize group accomplishments. Indeed, increasing numbers of businesses have switched from individual bonus programs to one which reward contributions to corporate performance at group, departmental, or company-wide levels. According to some experts, small businesses interested in long-term benefits should probably consider another type of reward. Bonuses are generally short-term motivators. By rewarding an employee’s performance for the previous year, they encourage a short-term perspective rather than future-oriented accomplishments. Variable pay or pay-for-performance is a compensation program in which a portion of a person’s pay is considered “at risk.” Variable pay can be tied to the performance of the company, the results of a business unit, an individual’s accomplishments, or any combination of these. 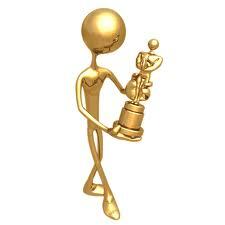 It can take many forms, including bonus programs, stock options, and one-time awards for significant accomplishments. Some companies choose to pay their employees less than competitors but attempt to motivate and reward employees using a variable pay program instead. Profit sharing refers to the strategy of creating a pool of monies to be disbursed to employees by taking a stated percentage of a company’s profits. The amount given to an employee is usually equal to a percentage of the employee’s salary and is disbursed after a business closes its books for the year. The idea behind profit sharing is to reward employees for their contributions to a company’s achieved profit goal. It encourages employees to stay put because it is usually structured to reward employees who stay with the company; most profit sharing programs require an employee to be vested in the program over a number of years before receiving any money. Previously the territory of upper management and large companies, stock options have become an increasingly popular method in recent years of rewarding middle management and other employees in both mature companies and start-ups. Employee stock-option programs give employees the right to buy a specified number of a company’s shares at a fixed price for a specified period of time (usually around ten years). They are generally authorized by a company’s board of directors and approved by its shareholders. The number of options a company can award to employees is usually equal to a certain percentage of the company’s shares outstanding. Like profit sharing plans, stock options usually reward employees for sticking around, serving as a long-term motivator. Once an employee has been with a company for a certain period of time (usually around four years), he or she is fully vested in the program. If the employee leaves the company prior to being fully vested, those options are canceled. After an employee becomes fully vested in the program, he or she can purchase from the company an allotted number of shares at the strike price (or the fixed price originally agreed to). This purchase is known as “exercising” stock options. After purchasing the stock, the employee can either retain it or sell it on the open market with the difference in strike price and market price being the employee’s gain in the value of the shares. Offering additional stock in this manner presents risks for both the company and the employee. If the option’s strike price is higher than the market price of the stock, the employee’s option is worthless. When an employee exercises an option, the company is required to issue a new share of stock that can be publicly traded. The company’s market capitalization grows by the market price of the share, rather than the strike price that the employee purchases the stock for. The possibility of reduction of company earnings (impacting both the company and shareholders) arises when the company has a greater number of shares outstanding. To keep ahead of this possibility, earnings must increase at a rate equal to the rate at which outstanding shares increase. Otherwise, the company must repurchase shares on the open market to reduce the number of outstanding shares. One benefit to offering stock options is a company’s ability to take a tax deduction for compensation expense when it issues shares to employees who are exercising their options. Another benefit to offering options is that while they could be considered a portion of compensation, current accounting methods do not require businesses to show options as an expense on their books. This tends to inflate the value of a company. As more small businesses use team structures to reach their goals, many entrepreneurs look for ways to reward cooperation between departments and individuals. Bonuses, profit sharing, and stock options can all be used to reward team and group accomplishments. An entrepreneur can choose to reward individual or group contributions or a combination of the two. Group-based reward systems are based on a measurement of team performance, with individual rewards received on the basis of this performance. While these systems encourage individual efforts toward common business goals, they also tend to reward under-performing employees along with average and above-average employees. A reward program which recognizes individual achievements in addition to team performance can provide extra incentive for employees. In order to develop an effective recognition program, a small business owner must be sure to separate the program from the company’s system of rewarding employees. This ensures a focus on recognizing the efforts of employees. To this end, although the recognition may have a monetary value (such as a luncheon, gift certificates, or plaques), money itself is not given to recognize performance. Recognition has a timing element: it must occur so that the performance recognized is still fresh in the mind. If high performance continues, recognition should be frequent but cautiously timed so that it doesn’t become automatic. Furthermore, like rewards, the method of recognition needs to be appropriate for the achievement. This also ensures that those actions which go farthest in supporting corporate goals receive the most attention. However, an entrepreneur should remain flexible in the methods of recognition, as different employees are motivated by different forms of recognition. Recognition can take a variety of forms. Structured programs can include regular recognition events such as banquets or breakfasts, employee of the month or year recognition, an annual report or yearbook which features the accomplishments of employees, and department or company recognition boards. Informal or spontaneous recognition can take the form of privileges such as working at home, starting late/leaving early, or long lunch breaks. A job well done can also be recognized by providing additional support or empowering the employee in ways such as greater choice of assignments, increased authority, or naming the employee as an internal consultant to other staff. Symbolic recognition such as plaques or coffee mugs with inscriptions can also be effective, provided they reflect sincere appreciation for hard work. These latter expressions of thanks, however, are far more likely to be received positively if the source is a small business owner with limited financial resources.